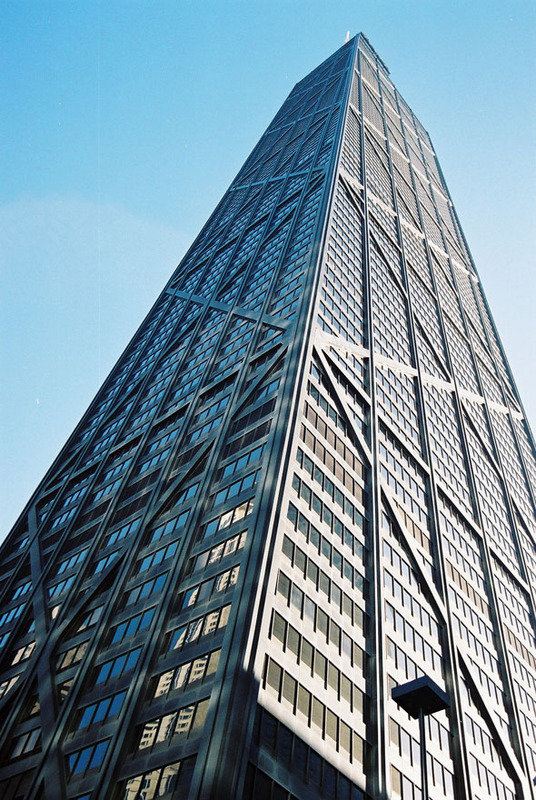 Today, the John Hancock Center in Chicago, Illinois, is affectionately known as “Big John,” but it was not always this way. 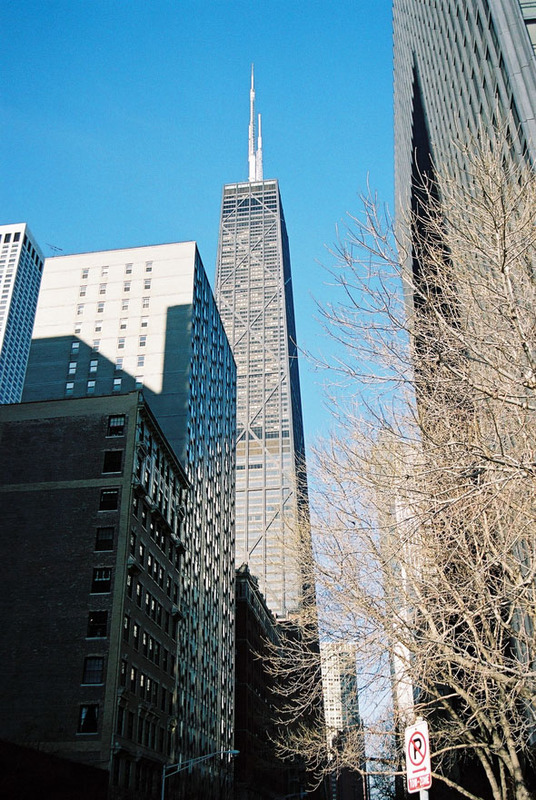 Located on North Michigan Avenue along Chicago’s “Magnificent Mile,” the skyscraper was controversial from the start for its enormous bulk and dark metal exterior. 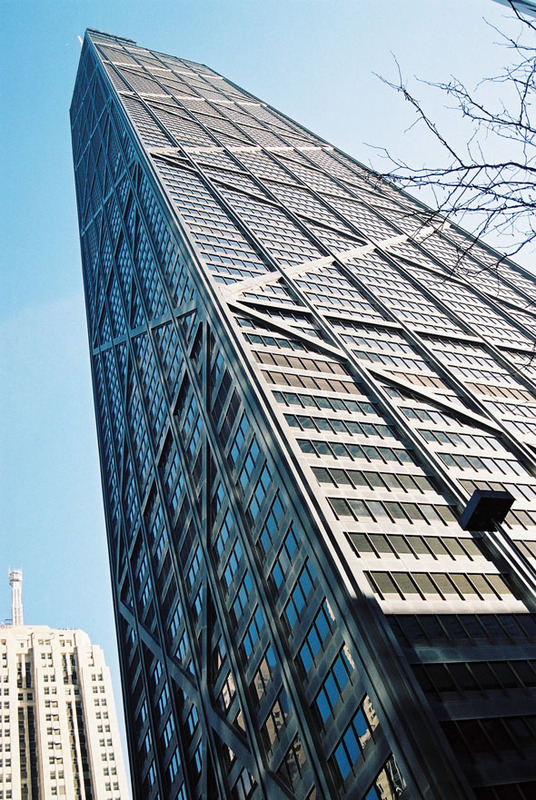 Eventually, it was celebrated for its very brashness, and today it remains one of Chicago’s best-loved icons. 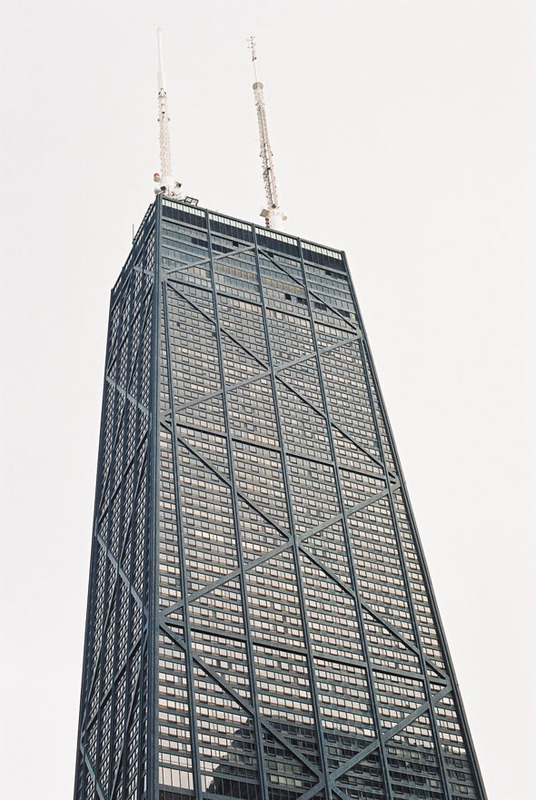 Currently, the John Hancock Center is the twelfth tallest building in the world and the tallest multi-use building in the world. Offices occupy the lower floors of the 100-story skyscraper, and apartments are located on the upper floors of the building. Additional facilities include restaurants, health clubs, a swimming pool, and even an ice-skating rink. It contains the highest residences in the world. It is actually a super-tall steel tube. 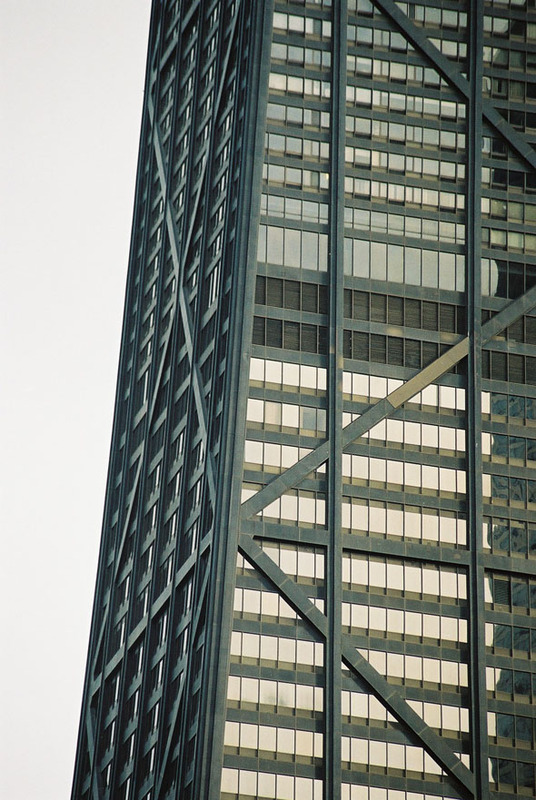 Steel columns and beams are concentrated in the skyscraper’s perimeter, and five enormous diagonal braces on the exterior walls of the skyscraper give it extra strength in the wind. 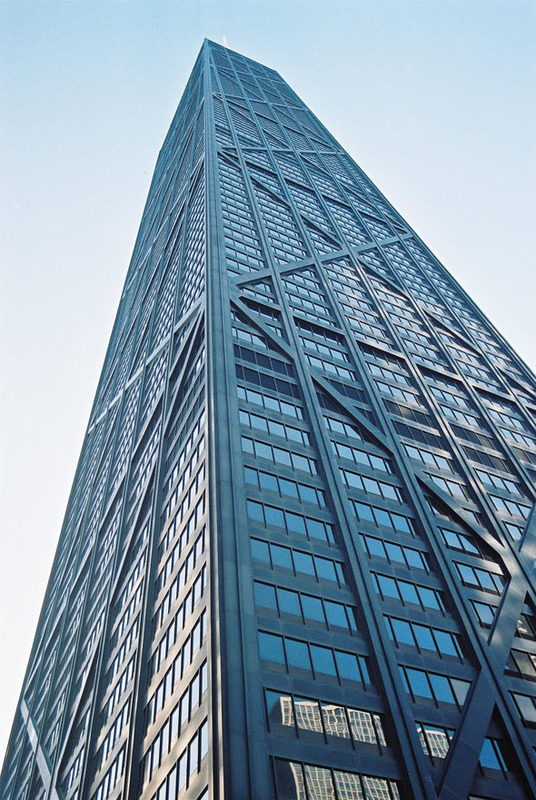 The skyscraper also rises from 40,000 square feet at the base to 18,000 square feet at the summit. This tapered design provides additional structural stability against wind forces. The diagonals completely block the view from two windows on each floor. Ironically, a rental agent has transformed these “blocked” windows into something of a status symbol, it actually costs more money to rent from these rooms.